Is it safe to use a Visa at an online casino? When you start making real money deposits to play at an online casino, you’ll notice that Visa credit cards and debit card are one of the most widely accepted payment options. Despite the popularity of Visa as a payment method, some players are wary about handing out their credit card details over the Internet. This article will explain how Visa payments are protected and why it is safe to use Visa at an online casino. How does Visa keep me safe online? As one of the most recognised and trusted global payment methods, you can rest assured that Visa payments are well protected by a scrupulous team of security experts. 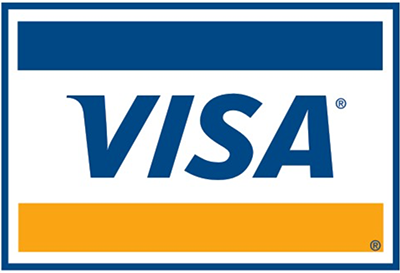 All online Visa transactions are protected by Visa’s high-tech data analytics software, which is a powerful global network operating 24/7 to detect fraudulent credit card activity and stop the transactions before they’re processed. Online payments made using Visa also come with the added benefit of being protected by Visa’s Zero Liability Policy. This means that on the rare and unfortunate event that your credit card details are unlawfully obtained and a payment is made without your authorisation, Visa will not hold you responsible. The unauthorised transaction will be refunded to your account within five business days and your card will be cancelled and reissued to ensure no further illegal activity occurs. As a result of Visa’s state of the art data analytics and Zero Liability Policy, fraudulent Visa transactions have never been less common, making Visa a safe option for online casino deposits. How do online casinos keep me safe? Reputable virtual casinos like the ones recommended here at Online Casino Websites protect their players during every step of a financial transaction. Casino cashiers at these sites are 100% protected by a minimum of 128 Bit SSL (Secure Socket Layer) digital encryption security, which scrambles all the information sent over the secure feed to make it impossible for anyone to intercept it. This means that you can deposit money and enter your personal information without the chances of your details falling into the wrong hands. The best online casinos are all licensed by reputable gambling jurisdictions and audited by third party bodies like eCOGRA which exist to preserve player security and ensure game fairness. Dedicated customer service teams are also available around the clock to assist with any concerns you may have. All of these factors coupled with the high levels of security imposed by the Visa brand makes Visa a very safe option to use at an online casino. Please note that due to differing laws regarding online gambling, not all of these online casinos will accept players from every country. If you are unable to sign up for an account with any of these Visa-friendly sites, refer to our casino table at the top of the page which has been geo-targeted to recognise your location and only recommend online casinos that accept players from your area. Most of the drawbacks relate to the issuing bank rather than the Visa card itself, so check the terms and conditions provided by your financial institution for stipulations regarding your Visa account.